LaKeith Smith is asking for a new trial. LaKeith Smith, 19, and the three others were charged with armed burglary, second-degree theft, and third-degree theft. However, he declined the plea deal of 25 years (the other three accepted the deal). He was sentenced to 65 years and at his sentencing said “I don’t have time for this.” Judge Sibley Reynolds responded with, “You got plenty of time for this. When I called the case earlier you said you ain’t got time for this, so I didn’t know if you had time for this now?” Smith laughed and lowered his head, saying he didn’t know the judge heard him. However, it is highly unlikely Smith will receive a new trial. Judge Sibley Reynolds is famous for being extremely strict with his sentencing. In June 2016, he sent a man to jail for saying he was a “corrupt judge” in a social media post. In August of 2017, he sent a lawyer to jail for contempt of court. He also gave the maximum sentence for a white woman who killed her child’s father. 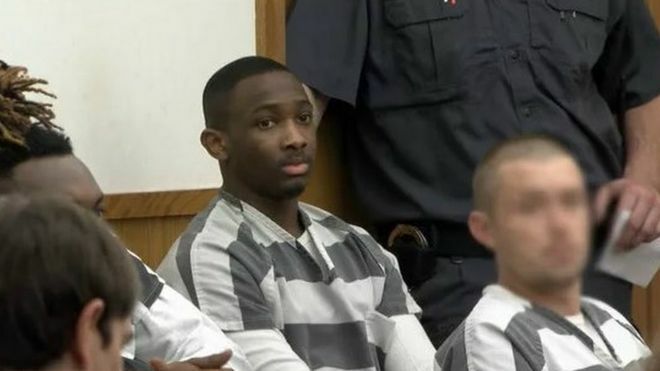 Unfortunately, this judge will more than likely not give the 19-year-old another chance. However, the accomplice law should be revisited, the idea that someone is blamed for a murder — especially when the cop pulled the trigger — is deeply problematic.